Inviting applications for the Jan Knippers Black Human Rights Protection Fellowship Award, funded by the Jan Knippers Black Fund for Human Rights Protection which was established in 2018 in the name of Professor Jan Knippers Black – writer, teacher, and life-long campaigner for human rights; she has served 28 years on the MIIS faculty and six years on the national board of Amnesty International. Applications for this opportunity are invited from all MIIS students, and particularly second year students. Alumni of MIIS are also eligible to apply The chosen candidate will intern with Amnesty International USA for an eight-week assignment in Washington, DC. The Fellowship provides funding ($2,000) that is matched by Amnesty International to cover wages during the assignment ($15/hour @35 hours/week). Recipient is responsible for travel to and from work site and room and board while on assignment. Candidates are screened first by a committee at MIIS and finalists will be notified by March 25. A short list of candidates will then be reviewed by Amnesty International USA who will select the Fellowship recipient by April 15. The recipient must begin their assignment within six months of selection. Subject to AIUSA permission, students may use their learning experience as material for credit-bearing immersive learning or other practicum; however, they are not eligible for other immersive-learning funds. Students on academic loans, the funds would be applied to the holder of the debt. The Fellowship will be awarded annually at the Fund’s Human Rights Speakers Series public program and the recipient will receive a $2,000 stipend. 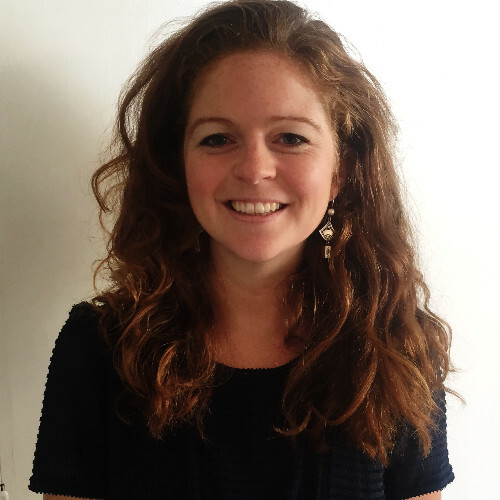 Please direct questions about this opportunity to Carolyn Taylor Meyer, Director of Immersive Professional Learning and Special Programs at 647-6417, cmtaylor@miis.edu. The Advocacy/Government Relations Program is part of Amnesty International USA (AIUSA), which works to promote human rights in the U.S. and worldwide. AIUSA is dedicated to holding the U.S. government and governments around the world accountable to international human rights obligations and commitments. The Advocacy/Government Relations Program leads AIUSA’s policy advocacy targeting U.S. lawmakers. Interns will have the opportunity to work on federal advocacy on human rights issues in Washington, D.C. and gain valuable experience by working directly with the Advocacy team. 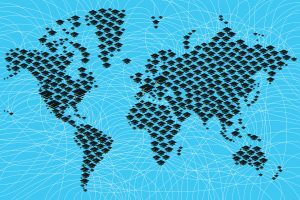 • Addressing the Global Refugee Crisis internationally and from here in the U.S.
• Protecting Human Rights Defenders around the world. Daniel Balson, Advocacy Director for Europe and Central Asia for Amnesty International USA. Interns will engage in human rights research and advocacy including but not limited to developing and implementing advocacy strategies and materials, contact with governmental bodies and officials, conducting legislative research, drafting memoranda and briefing documents, blogs, managing databases, analyzing emerging areas of relevant law and government policy, tracking the progress of legislation in the United States Congress, and learning about the international human rights framework. The latest Amnesty International reports. The AIUSA website on AIUSA priority Campaigns including on Refugees, Ending Gun Violence and Human Rights Defenders. Using congress.gov, look at current legislation concerning human rights, especially in the House Foreign Affairs Committee, Senate Foreign Relations Committee, and Dept. of Homeland Security, and Judiciary Committee. Following Amnesty International and AIUSA on Twitter and Facebook, including regional accounts like AINigeria, AISouth Africa, AIFrance and AIUK. Learning about the differences in jurisdiction of committees, specially the Tom Lantos Human Rights Commission, Senate/ House Judiciary Committee, House Homeland Security Committee, and the foreign affairs regional subcommittees. • Interns will be responsible for researching and documenting issues related to U.S. foreign policy and human rights in their area of focus, as well as attending and summarizing briefings, hearings, and other NGO events. • Attending Congressional hearings and briefings and other NGO briefings and conferences reporting back on those events to staff, Country Specialists and IS staff as appropriate. An understanding of the U.S.Foreign Policy machinery and process regarding human rights. US Congressional operations and politics. Challenges and opportunities working within a global human rights NGO. Real time experience with issues related to International Affairs. Students can expect to work in teams and in close collaboration with AASD staff. 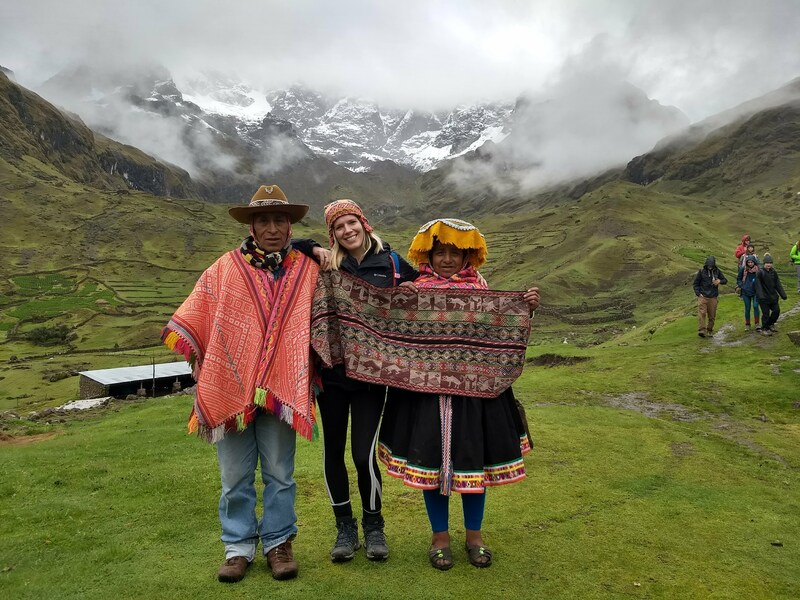 Students will be based in the town of Calca, Peru and spending time in indigenous farming communities in the region. Students can apply for $1,000 in Immersive Learning Funding by Dec. 1st! This is the first step in a two-phase project, and as such, students who participate in J-term will have priority selection for the summer iteration, which is an 8-week practicum with funding available through Middlebury Social Impact Corps. Students will work on a team to design and field test the evaluation. No prior experience in evaluation or assessment is required, as training will be provided. Students can expect to learn and implement various research techniques, including surveys, interviews, and other methodologies, as well as evaluation best-practices. Students will be traveling to remote communities throughout the highlands, so some rustic conditions should be expected. Tell us about yourself and where you are doing your practicum? 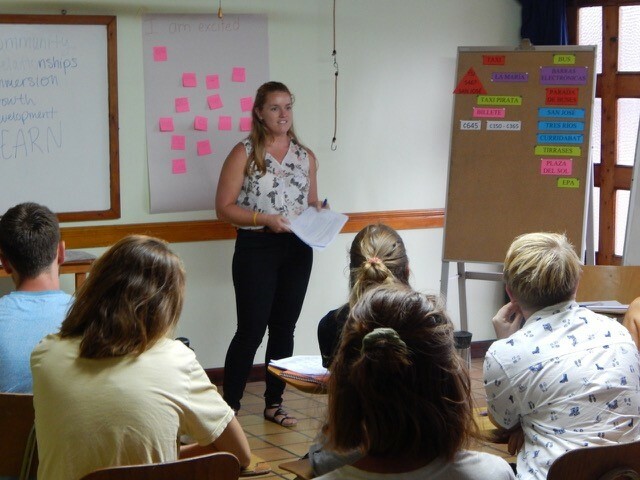 My name is Marie MacDonald, I am a third semester MA International Education Management (IEM) student, and I am doing my practicum at Institute for Central American Development Studies (ICADS) in San Jose, Costa Rica. 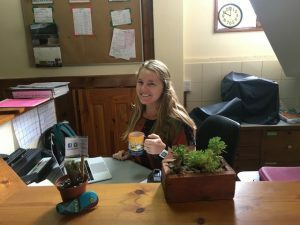 ICADS is a service learning abroad office that hosts students from undergraduate programs primarily from the US to come and learn about environmental studies, sustainable development and social justice. But students can be from any major. I would say a good half of students are doing biology or environmental studies, and the other half of students are doing education or social work. How did you land this practicum position? I was really lucky with landing this practicum. 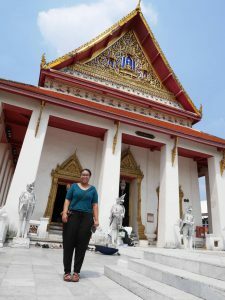 Professor Paige Butler came here in Fall 2016 and did a Forum on Education Abroad Quality Improvement Program Evaluation. She came down here to do a study abroad check with the organization to make sure that they were following all the rules and regulations, and that the organization was credible for the students to come down from US universities to pursue a study abroad experience. In that process, she found that they could really use an IEM student. So she reached out to one of my classmates, and he had an interview with the director here, and he was thinking in the back of his mind like actually this is really cool, but I think this is a better fit for my friend Marie. And he told me about it, and I made contact with the director. So it was through word of mouth and connections at MIIS. Marie delivering a presentation to students on their study abroad experience. What does your position at ICADS entail? My title is Program Liaison, and I have been here for about 6 weeks now. Some of my roles were program coordination, orientation week, hopes and expectations, readjustment, and cultural transitions. I also co-led a program to Panama on their third week with a co-worker. We went down to Panama for a week to do excursions and learn about culture, politics and economy of the country. In the office I do administrative work, such as working with the social media platforms – the Facebook page, and we just redid the website for ICADS. I gave my input of the design of the website, content, the spelling and the grammar. I also helped prepare some materials for students who are coming to study with us. Therefore, pre-departure tools like handbooks, guides and manuals they need before they arrive to Costa Rica. All the administrative duties include translation, grammar, editing and writing skills. What is one specific project you are a part of that you have spent the most time on, and what are your roles in that project? The one I spent the most time on and the one that I worked the hardest on is the Pre-Departure Guide. There were two guides before I came in. One was for before students got here, and another for when students arrived in the country, and combined the documents were over 70 pages. I did an evaluation survey that asked students “how did you like the handbook?” and “Was it helpful?” Students answered “I honestly didn’t read it because it was too long.” I took a look at it and it was exactly that, and it wasn’t the most visually appealing. I wanted to spearhead this project to look at these two manuals and combine them into one that was coherent, made sense, was appealing, and organized. Alongside my supervisor, the director of ICADS, we did multiple iterations of this pre-departure guide, and on October 12th I submitted the final draft for the final check. What did you learn at MIIS and IEM that has been beneficial for your duties at ICADS? At MIIS and through IEM I learned about working in groups and working with international organizations. One of the courses that comes to mind is the one big core class in IEM, which is called Design and Assessment (DnA). We work with learning partners, and my group worked with an international organization based in Mexico. We were able to work with them, communicate with them, practice speaking Spanish, and practice our ICC skills. Another course was Education Abroad Management because it talked about different ways of working at a study abroad office, ethics working with students, and theories trending in the field. This course was especially helpful for my big deliverable – the pre-departure guide. Also, Staff Management in Intercultural Contexts. This course trained me to work with different groups in different countries. 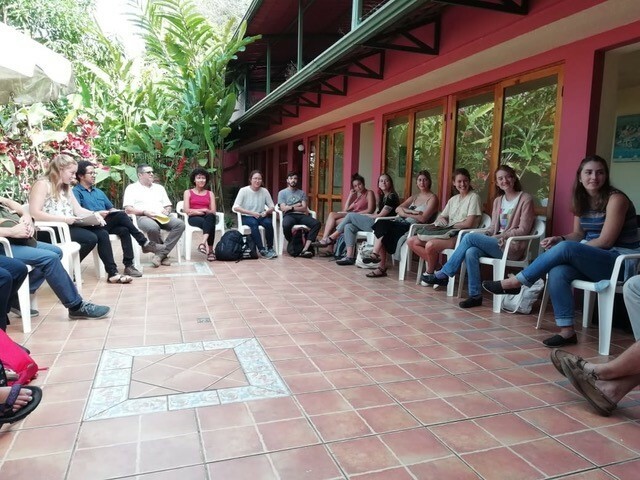 Especially working with Costa Ricans, learning how to building relationships in the office, the organizational culture, and speaking Spanish everyday. What has been an unexpected challenge you have faced while at ICADS? A challenge for me is that I’m not in the environment or it’s not the right time to exploit all of my skills and everything I have learned. I wanted to tell them all the things that I was thinking and all the best practices, but I needed to take a step back and hone in on certain skills but not all the skills. A challenge has been to be reserved of what I have learned and only using some of the things I learned at MIIS, instead of everything. I can try to make all the improvements I would like, but I’m only an intern here for 4 months, so I have to take a step back and go with the flow and only use what they need me to use. What are your plans after your done with your practicum? I know that I still want to be working in a Latin American country, and ideally to stay in Costa Rica. I am in no rush to go back home to the US. I’m going to try to take advantage of being here already. Either with volunteer organizations or another study abroad office or something similar. I definitely want continue this type of work. Especially getting students involved in working with local communities. 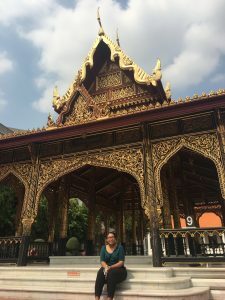 A conversation with TESOL/TFL and DPP/IEM Professor and the Chair of the Intercultural Competency (ICC) Specialization, Netta Avineri, about the specialization’s recent development, successes and future. Previous to Fall 2017, students were only required to take a total of 8 credits in ICC to graduate. Now students have the opportunity to acquire an ICC specialization with 16-credits of coursework. If you would like to learn more about the ICC specialization and opportunities in the ICC field, please contact Prof. Avineri at navineri@miis.edu. Avineri: TESOL/TFL program is my primary focus. I also teach a course in IEM/DPP department called Survey Design. In ICC, I teach Service Learning in International and Domestic Community Partnership. It’s a 2 unit weekend workshop, where we talk about the pedagogy and methodology of community engagement broadly speaking. Students engage in service in that course and we talk about the intercultural issues involved. This coming Spring I am teaching our Communication in Multicultural Settings class, which was created by Prof. Lynn Goldstein – a professor who retired last year, and students can take it for 2-4 units variable. How did you become interested in teaching and being a part of the ICC field? Avineri: By training I am a linguist anthropologist/applied linguist. I am interested in issues of culture and community broadly conceived. Anthropologists do intercultural work methodologically and work with intercultural issues. So, it was a natural step in a way. If you could name learning outcomes for your students that take your courses, what would those be? Avineri: Specifically to the curriculum as a whole is knowledge, skills, attitudes and awareness. Depending on the course, we can focus it in different areas. I generally want students to be focused on ethical engagement with communities being sensitive to how they perceive other people and interact with other people, so they are not making assumptions or have pre-conceived notions about individuals or communities. So I try to do a lot of activities that are focused on ethics and sensitivity. Wherever the course might be, it could appear differently. In TESOL, I teach research methods, sociolinguistics or practicum. Other courses I teach that are not ICC-designated have a lot of overlapping foci. So I am always interested in making sure that students are trying to understand the community before they try to change it and try to ethically engage with people. Do the ethics come before making social change and at what point do ICC specialists have to do self-examination? Avineri: I feel like you can’t go into the community without understand yourself, but you also understand yourself better in engagement with the community. So it’s artificial to say that I first understand myself and check that box, and then move on. So I try to do those in tandem with each other. In the past few years I have thought about how anthropologists are frequently trained to understand the situation, observe it in-depth, look at it over time. Generally, that’s usually it. I do a lot of work with colleagues on language and social justice advocacy initiatives, and we talk about how do you on the one hand observe something and not attach value to it, and on the other hand want to move towards social change. How do you beat those things at the same time? Because if you want social change you have to notice something that you don’t like. I try to explore those dilemmas and how you balance those issues. In my classes, we try to think through – okay, I enter a community, I notice something that either I don’t like, or the people in the community seem to be upset about – how can I still understand it on its own terms before I try to be the one that goes and changes it. When those ethical dilemmas arise, what are some ways to handle that to shift towards social change. How did ICC start at MIIS? The specialization started officially in Fall 2017. The ICC classes as a whole started in 2013. The then president of the Institute, through discussions with all different people had set out a policy about including ICC courses in the overall language and intercultural studies requirement for the Institute for GSIPM students. So, a committee was formed. Kathrine Punteney, who is the IEM program chair, was the chair at the beginning of the committee. She brought together different faculty to think through what could these courses look like. What’s the process that could be vetted to build courses from scratch, and Communication in Multicultural Settings was the first course that was offered. What we were realizing was that classes were going well, students were enrolling, we’re growing the curriculum, etc. But it wasn’t really a curriculum in that there wasn’t prerequisites. It was just a list of classes and we needed a structure to them. We needed a sequence – a scope. So that process of building the curriculum took us about a year. There’s an Introduction to ICC course that’s a pre-requisite, or co-requisite, and there are other courses you have to take, and there’s some elective room. Have some students graduated with the specialization since its inception? Avineri: As now, we have had a couple of students that graduated with the specialization last year. 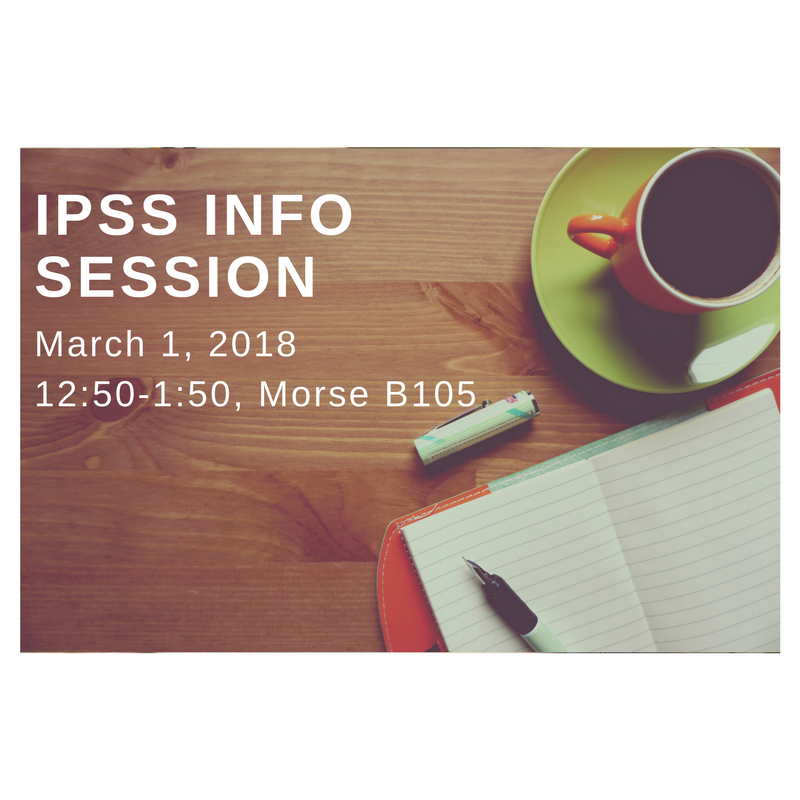 There was one student that was an NPTS student and another TESOL, and now we have a number of students that are exploring – IEM/MPA, TLM, and other programs. What is your and the committee’s vision for the students who are acquiring the ICC specialization? Avineri: I think the same way we think about the language studies classes at MIIS in that they are content-based language instruction. 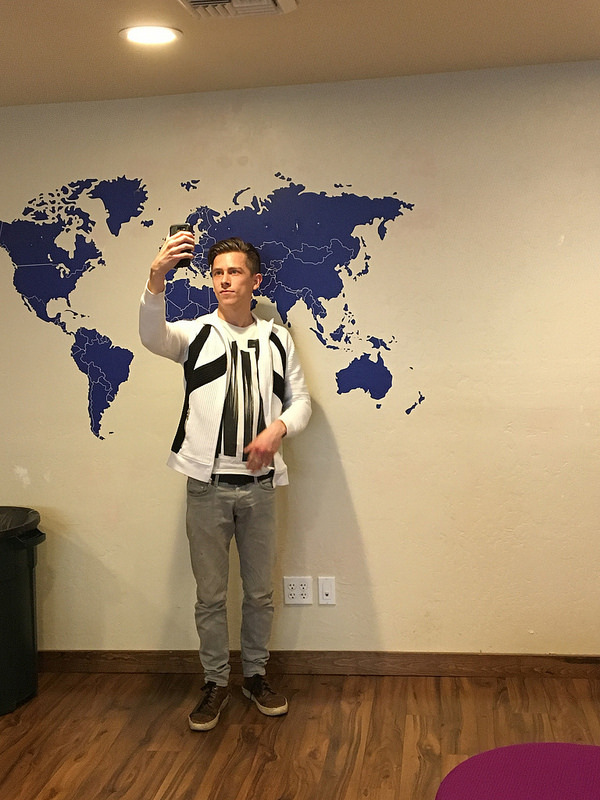 I think what we are doing at MIIS is content-based intercultural education. So we are not looking at the ICC world and that field as separate somehow from the important social change type of work that DPP is doing in their program, for example. But that during the program and beyond, students can see how cultural issues are manifesting and they have the abilities and skills to foster that. ICC is actually very much integrated into the real work students do, and, for example, students can’t be a good interpreter if you don’t have the intercultural sensitivity. My goal is that people are seeing the ICC courses as making their degree program that much richer. What is the future of ICC at MIIS? Avineri: I think we are having a lot of interesting conversations among the committee, students, faculty and staff about classes being these intercultural spaces. My vision would be that we have a real deep understanding of what intercultural issues are in all of these degree programs. I really want to understand and partner with each of the degree programs we offer on campus. We have one colleague who talks about stakeholder engagement, as in that is the term that the program uses to talk about intercultural communication. As a campus, how can we help facilitate those kinds of conversations, and it’s not just with that particular program but across all programs. What if IEP was talking with T&I? Not that these things are not happening, but from an intercultural perspective. In middle of September last year there was a deadline for Envisioning Middlebury, in which different programs on campus and different entities of Middlebury brought forward ideas that they had about how to move forward in ICC. So we’re interested in, not just MIIS, but across Middlebury world. We had a retreat in October 2017 with representatives from the language schools, the C.V. Starr Schools Abroad, the College and MIIS. We all came together to talk about ICC issues and thinking about broad questions that are in common for all these different representatives. What are the ICC issues at the College versus at the Schools Abroad versus at MIIS. We were thinking about things in a much more integrated way, considering what are the particular issues in the programs and in their fields. We are thinking about Middlebury as a whole and about how Middlebury can further connect one with the other. Can yo u tell us a little about yourself? 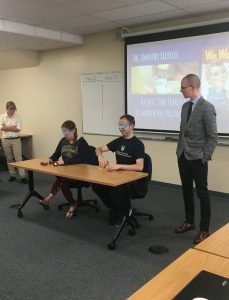 My name is Noah Mayhew and I am among the first group of graduates from the dual MA program in nonproliferation studies between the Middlebury Institute of International Studies at Monterey and the Moscow State Institute of International Relations. 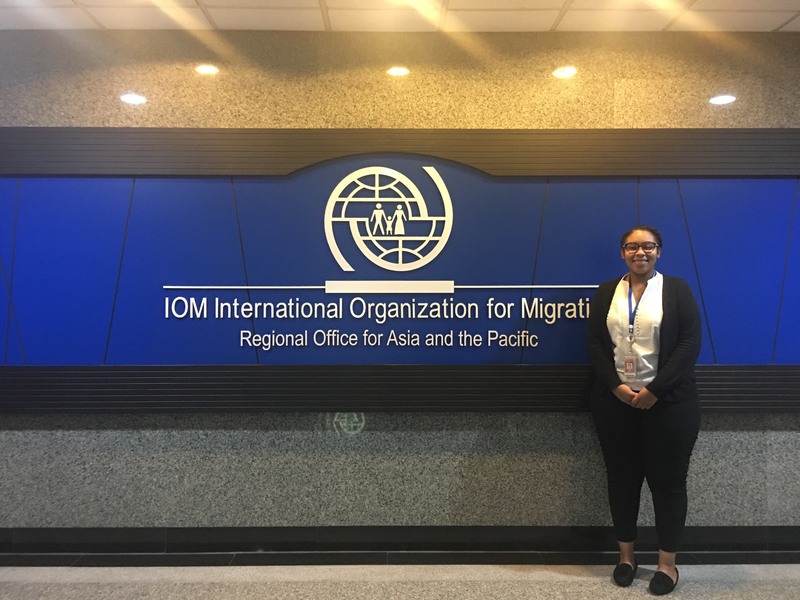 The final semester of this program is spent in practicum, which I completed in the International Atomic Energy Agency’s Office of Public Information and Communication (OPIC) in Vienna, Austria. How did you find the IAEA? Why were you interested in working there? While internships are a fantastic (and recommended) way of advancing your professional development, our program required internships. 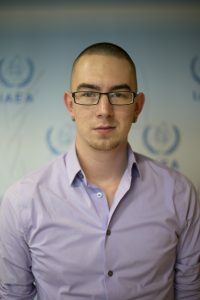 IONP was a streamlined way for several of the dual-degree students to find their internships and the IAEA was a fantastic fit for what I wanted to do later, i.e. work within the international system on nuclear/security issues. Why did you choose and internship abroad rather than one in the U.S.? I was initially very focused on receiving the UNODA position through IONP. 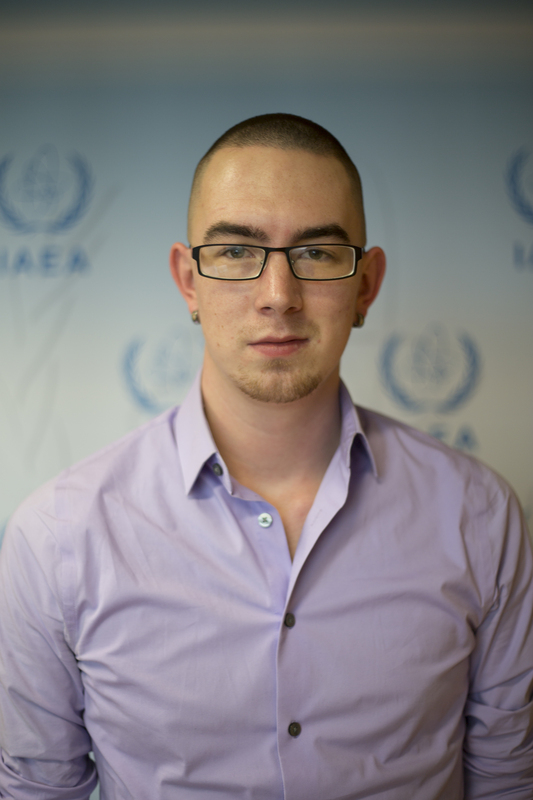 I am now very glad that I was not chosen for that position because the IAEA internship really offered me more what I was looking for. While both internships offer interns substantive work and fantastic networking opportunities, I found the international environment at the IAEA to be much more fitting to my long-term ambitions. In addition, working at the IAEA exposes you to a huge variety of topic areas in the nuclear field, that make you a more desirable, more well-rounded candidate for junior-level positions after the internship. What courses at the Middlebury Institute helped prepare you the most for your position with the IAEA? I found myself drawing a lot from courses that I took with Philipp Bleek, particularly his introductory course and his writing course. As far as his intro course is concerned, the IAEA does a lot of different things under its mandate, and Dr. Bleek did well to cover those things as best he could in the time allotted. His writing course was a great exercise in boiling things down to their most important, most compelling pieces, which was useful in drafting reports for my supervisors, as well as writing web articles for iaea.org and conducting daily news analysis. I wish that I had taken the course on nuclear power, that I believe Dr. Moore teaches. Finally, language – any language – is always a useful thing at the IAEA. Knowing more than just English is not a requirement for employment there, but it does certainly make you look more credible. What was an unexpected challenge you faced while at the IAEA? my time writing articles for the head of the web section, compiling a daily nuclear news aggregate for senior management and helping the multimedia team with content for videos and other such tasks. As I mentioned above, I was able to work on a large variety of projects while I was with OPIC. Officially, I worked for the director, mostly on drafting internal communications strategy documents and conducting research for various purposes (for example, vetting speakers). I also worked with the press section in compiling the Internal News Review, which is a daily aggregate of all nuclear-related news compiled for senior management. We kept a database of all IAEA mentions that corresponds with this aggregate. I spent a lot of time writing articles for the web section and also for the IAEA Bulletin. Aside from those things, I did a lot of miscellaneous tasks, such as transcribing interviews, assisting the multimedia team with scripts and video shoots and writing for internal news. This was helpful because I got to meet and speak to a lot of people within the IAEA that I would otherwise have had no reason to network with. Through this experience, I learned a lot about the IAEA’s work and the huge amount of industries that the nuclear field touches. Aside from the concrete subject matter, I was able to experience working in a professional, international environment. One of the benefits of the dual-degree program is that the internship during the final semester helps you to transition from student to professional, even just in terms of how to conduct yourself in an international office setting and what sort of skills will be required on a daily basis (writing, organization and being a self-starter go pretty far). What are your plans now that you have completed your time at the IAEA? I have secured a position as a Research Associate with the Vienna Center for Disarmament and Non-Proliferation following my internship. My first day was Monday :). The MIIS Committee on Art in Public Places and the Graduate Initiative in Russian Studies are proud to present a photography exhibition by award-winning fine art photographer Martha Casanave on the sidelines of the 2018 Monterey Summer Symposium on Russia. 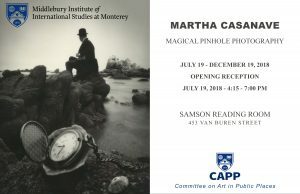 Martha graduated from the Monterey Institute with a degree in Russian Studies and Literature and has been a photographer educator for over thirty years. She will be showing selected photographs from two bodies of work. “Leningrad in Winter”, finished after various trips to Russia and with the support from Polaroid Corporation, and “Explorations Along an Imaginary Coastline, a body of work laden with surreal views of California’s central coast, meditations on time, history and narrative mysteries. “Seeing from the heart” rather than the analytical mind approach underlies Martha’s lyrical photographs. She uses a film pinhole camera, a camera with a tiny hole instead of a lens, to produce the grainy and fuzzy images where any signs and details of the present day are purposely erased. Only the emotional, intuitive and literary aspect remains. The exhibition opens on July 19, 2018, with an artist reception from 4:15- 7:00 pm at Samson Reading Room on MIIS campus and will run through December 19, 2018. Visiting hours are from 8:30 am to 5:00 pm, Monday through Friday. Samson Reading Room is located at 453 Van Buren Street, Monterey, CA. Contact 831-647-6417 for more information. Pilar at her desk at the Middlebury School in Spain. 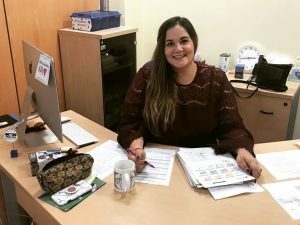 Pilar Diaz de la Rubia is a third semester International Education Management student completing her practicum with the Middlebury Schools Abroad in Madrid, Spain. She is working on two projects: the Sede Prim and the International Education Management Spain Leapfrog Initiative. Tell me a little about your background and how you came to Middlebury Institute (MIIS). I’ve been extremely fortunate to have grown up surrounded by two cultures: Spanish and American. My dad is from Spain and therefore it has always been a huge part of my life; from family trips in the summers, to studying abroad, to moving there to teach English, I’ve always sought out ways to further my connection to that part of my culture. 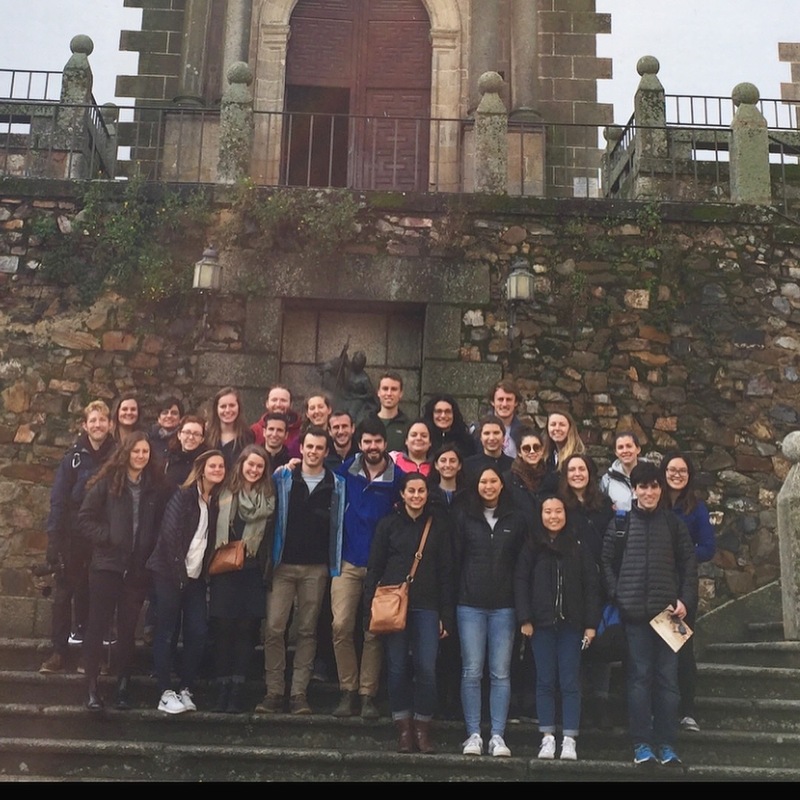 Since the very start of my first semester at MIIS, all I talked about was getting back to Spain…ask anyone in my cohort, or even my professors! In terms of my journey to MIIS: in college I studied linguistics, but I always knew in the back of my mind that I had a strong interest in education. That’s why when I graduated, I ended up moving to Madrid to become an English teacher. I loved every moment of it, however, I knew something was still missing. I moved back to California with a strong desire to continue pursuing some form of international education and, ended up reaching out to a friend who was in her first semester of the International Education Management (IEM) program at MIIS. After she told me a bit about the program my interest was immediately sparked and I went to visit. Honestly, one of the main reasons I ended up applying was because of the 1 hour I spent in David Wick’s Marketing and Recruitment class. The fact that the students were working hands-on, applying the materials they were learning with real clients, and designing projects for people all over the world left me awestruck. That, and Professor Wick’s amazing teaching of course! I left my visit to MIIS that day feeling like there was nothing that was going to stop me from pursuing International Education Management, and it has been the best decision I’ve made in my professional career thus far. How did you find your practicum? My practicum search was definitely a whirlwind. From the summer after my 1st semester until about 2-3 weeks before the end of my 2nd semester I had a verbally confirmed practicum position with a Spanish University in Madrid. I was about to draft the Terms Of Reference (TOR) when I got an email from my practicum advisor, Chris McShane. 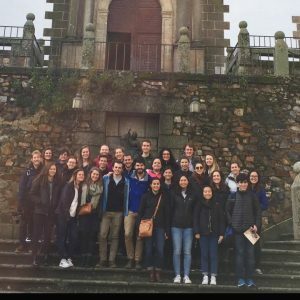 The email said that there was an extremely unique opportunity to work simultaneously at the Middlebury School in Spain (Sede Prim) with their study abroad programs, and remotely with Professor Paige Butler on launching a Leapfrog Initiative project. Even though I was in the final stages of confirming a practicum position, I knew I had to at least look into this opportunity, and I couldn’t be happier that I did. The hardest part of the process was having to tell my original placement that I wasn’t going to be able to join them the next semester, but, if I hadn’t taken the chance, I wouldn’t be in the incredible position I am today. What does a normal work-day look like for you? A normal workday… that’s a tough one! Due to the time difference between Spain and California I typically work on projects for the Sede Prim during the mornings, and those for the Leapfrog Initiative in the afternoons to facilitate meetings and email communication. At the Sede Prim my desk is the first thing you see when you walk into the building, so I get to greet all of the students and most mornings I get to talk to them about their classes and their weekend adventures! If I’m not talking to students then I’m working on projects, either for practicum or for the office. For example, one of my weekly tasks is to help our amazing cultural coordinator find events in the cities for our students to enjoy. Honestly, the hardest part of my day is having to transition between my two practicum positions because if I’m on a roll, I tend to want to keep working on that specific thing. To break up my day, I eat lunch with my colleagues, change desks to a more private area, and switch gears! Having two practicum positions means juggling a lot of projects and schedules, but, I can definitely say my time management skills are improving (special thanks to my practicum group for all their advice)! What projects are you working on? What specific tasks are you in charge of doing? The most recent project I have worked on for the Sede Prim has actually been in partnership with MIIS and the recruitment office. Together, with my supervisor here in Madrid and Jill Stoffers, I helped organize and deliver a recruitment session about new scholarships to English teaching assistants here in Madrid. Since the presentation I have been working on creating a document about the execution and results of the sessions as well as plans for future sessions. It was a really fun project and I look forward to the final session I’ll be giving at the end of May. 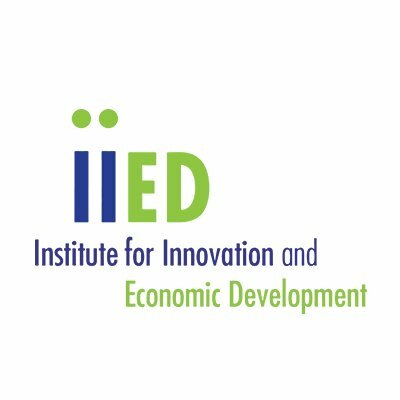 The projects I’ve been working on for Leapfrog Initiative with Paige Butler have been just as exciting and have really allowed me to apply and further develop all of the skills and best practices I learned throughout the IEM program. Since we are creating a program from the ground up (which is even more exciting than I could have imagined!) I’ve been working on projects such as: a competitor analysis, a gap analysis, a financial plan, target market research, informant interviews, and a business plan for our presentation to the board that is coming up in May. What professional networking opportunities have you had while in Spain? Thanks to the Leapfrog Initiative I am going to be reaching out to and connecting with professionals in the field in Spain to conduct informational interviews. Besides helping us immensely moving forward with this project, these interviews are providing me with incredible professional networking opportunities. I am going to be able to meet multiple people and cultivate great connections that will be indispensable as I continue to navigate the field in Spain. I am so grateful to have these opportunities thanks to both Paige Butler and the Sede Prim staff. What is something that surprises you about the work culture in Spain? Since I was already familiar with the work-culture in Spain, there haven’t been too many things that have surprised me! However, something that I have appreciated has been the communication style between my colleagues. Every Monday we have a team meeting and the first part is normally spent talking about either things happening in our lives or current events. Of course we have to get through all of our meeting points (and we do! ), but if something comes up and we divert a bit away from our main topics, it’s okay, or as the Spanish say, “no pasa nada!” I love that there is a balance between completing tasks and forming stronger personal connections; it makes for an amazing work-environment! What has been the most challenging part of your practicum so far? How did you overcome it or are you still working through it? The most challenging part of my practicum has been time-management, mostly regarding how I divide my time between my two positions and the various projects. I’m still learning how to juggle everything as effectively as possible, but I have had such amazing support from both the team in California as well as from my team here in Madrid. I’m definitely getting the hang of it! What professional resources (conferences, professors, mentors etc?) have been most useful to you (before and during practicum)? Why? I think everyone will agree with me in saying that all of the professors in the IEM program are the main reason we are able to be as successful as we are both during the program and beyond. I am so grateful to all of their support, the courses I took from them, and the professional skills I learned. During this practicum I’ve realized how relevant everything I learned in staff management is to navigating my office culture, specifically in terms of communication skills and team management. I’ve also gotten to see how important marketing and recruitment skills are to all aspects of international education: from looking at competitors to promoting materials to students. Of course, to do all of this successfully, you must know how to use excel… so, pay attention and take advantage of the budgeting course! What are your plans after practicum? What advice do you have for someone looking for a job during their practicum? As of right now, I don’t have a specific plan job-wise after practicum, but my goal is to remain in Spain, and I’m working on it! My colleagues here have been amazing and always pass along any job opportunities that come up through their networks. I will definitely be using those connections as well as the connections I make through the Leapfrog project interviews. It’s all about professional networks and personal connections! Pilar attending a fashion show with colleagues and students. If there was one main piece of advice that I would give students who are looking for practicum it would be to make sure to always read emails that the faculty send out about opportunities, even if you already have something almost secured! You never know what might come up and if it might fit in better with your professional and personal goals. If I hadn’t read the email from Chris McShane, I wouldn’t be where I am now, and I wouldn’t have been exposed to some of these amazing opportunities. Finally, my advice for during practicum is to jump right in and ask questions! My very first week, which was the week leading up to new student orientation, I consistently asked what I could do to help, worked on any small projects I was given, and observed as much as I could. The best thing you can do is get to know your colleagues and show them that you are there to learn and to support their organization in as many ways as you can! You have the knowledge, skills and attitudes to be more than successful, don’t be afraid to show it! Thank you, Pilar! We wish you the best in the future! Interested in Peace and Conflict? Don’t have summer plans? The Rochester Institute of Technology (RIT) Peace and Conflict Summer Program might be a fit for you! RIT brings in senior policy makers and academics who blend practical and theoretical approaches to: countering violent extremism; conflict transformation; the background/context to the post-cold war regional conflicts (e.g., in the Balkans, the Middle East, South Asia, and Caucasus); post-conflict economic development; ethics and international relations. The 5-week program (June 24-July 27, 2018) begins with an 8-day study tour in the region (Albania, Montenegro, Dubrovnik, Bosnia, Serbia) and is followed by 4 weeks of intensive training/teaching in 2 courses for a total of 6 academic credits from the Rochester Institute of Technology; thrice-weekly informal seminars where policy makers and students discuss practical dimensions of policy and peace operations; an annual workshop for participants on issues such as ‘building sustainable governance’, ‘constructive counter-narratives to violent extremism’; and possible service learning/internships with an NGO or government agency. One of the program’s strengths is its venue: Participants are strengthening links among policy makers and academics from the US, Kosovo and other places. 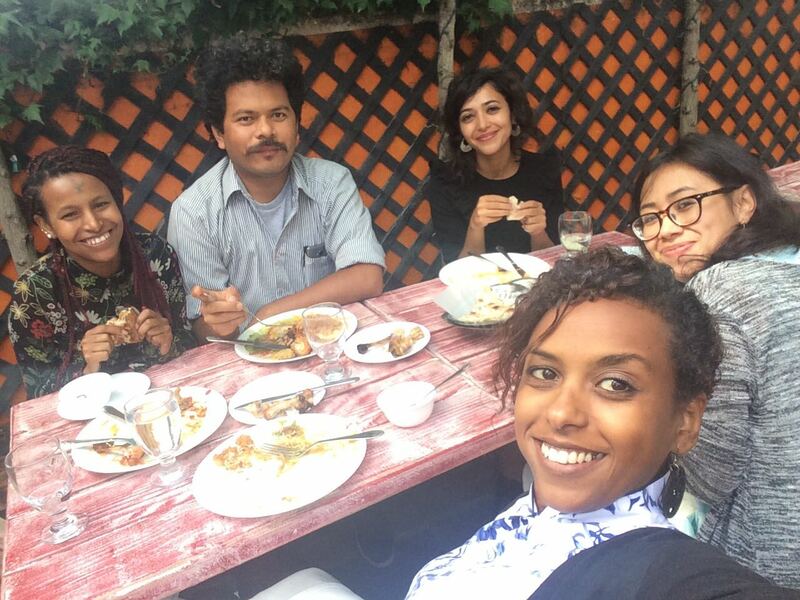 They meet with officials and activists as part of a program that blends theory and practice in a unique way in undergraduate/graduate academia. Participants and students constitute a diverse community: from Kosovo, US, Western Europe, Europe, Macedonia, Albania, Croatia, Bosnia-Herzegovina, Serbia, Ukraine, the Czech Republic, Morocco, Bangladesh, India, among others. In addition, some scholarships and discounts (for early deciders) are available for students/participants. Chelsea Lavallee is a 5th semester graduate student pursuing a dual degree in International Education Management (IEM) and Public Administration (MPA) at the Middlebury Institute of International Studies (MIIS) in Monterey, CA. Chelsea was awarded the Boren Fellowship in the Spring of 2017 and participated in the National Security Education Program. Under the Boren Fellowship, she is currently serving as an Educational Sector Intern for United Nations Educational, Scientific and Cultural Organization (UNESCO). Asalam Alekum, Bonjour, Hello! These are the greetings exchanged every day here in Dakar, Senegal. Almost a year ago I submitted my application for the Boren Fellowship, hoping I would have the opportunity to travel to West Africa, immerse myself in a new culture, improve my French language skills and learn Wolof, the language widely spoken in Senegal. The Boren application process is extensive and includes two essays, three letters of recommendation, a defense of the application and an oral language proficiency test (for French, and certain other languages). 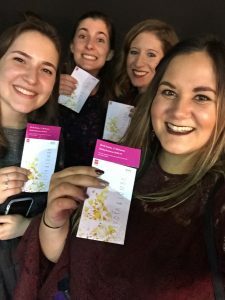 Luckily, the Center for Advising and Career Services (CACs) team, particularly Jen Holguin, MIIS professors, family and friends were all an amazing source of support throughout the entire process. I completed my application in January of 2017 and was notified as a successful recipient in April. From there, I embarked on a 12 month journey to learn about Senegalese language, culture, history and politics. Chelsea with her host family. 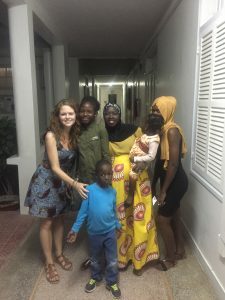 From June to August, myself and eight other Boren Fellows and Scholars developed a solid base in Senegalese languages and culture at the University of Florida, Gainesville’s African Studies Department. Once in country, I continued my language courses at the West African Research Center and participated in workshops and lectures with local youth activists, Senegalese musicians, American Diplomats, researchers and experts from regional security think tanks and researchers of Senegalese culture and traditional religious practices. I’m now in phase two of the Fellowship, which entails a full-time internship in my target language. My placement is at UNESCO’s Regional Bureau in Dakar, where I work on the Education-2030/Sustainable Development Goal (SDGs) 4 Coordination team for West and Central Africa. Using French in a professional setting everyday has been a challenge, but it has also enabled me to improve exponentially. Thematically, observing and supporting UNESCO’s role in SDG implementation in the region, working with Education Ministries, civil society groups and local NGOs has proven to be an unparalleled learning experience. Though language acquisition is the focus of the Fellowship, time spent with my Senegalese host family, neighbors and friends has easily been the highlight of my experience here. In Senegal, people are eager to share their cultural history, the Wolof language and enter into meaningful exchange, especially over a cup of Nescafe or ataaya, delicious Senegalese mint tea. Through these exchanges I’ve begun to understand people’s aspirations for the future of their country and the region, in terms of development, peace and prosperity. When I applied for the Boren Fellowship, I never imagined all that was in store for me: from eating around the bowl, to celebrating Tabaski, to cheering at the World Cup qualifying match in Dakar, to attending the Global Education Financing Conference in Dakar, I’ve loved and appreciated every moment. It is easy to see why Senegal is known as the country of “teranga,” or hospitality. I would highly encourage other MIIS students to seek opportunities in Senegal or in other regions through the Boren Fellowship. 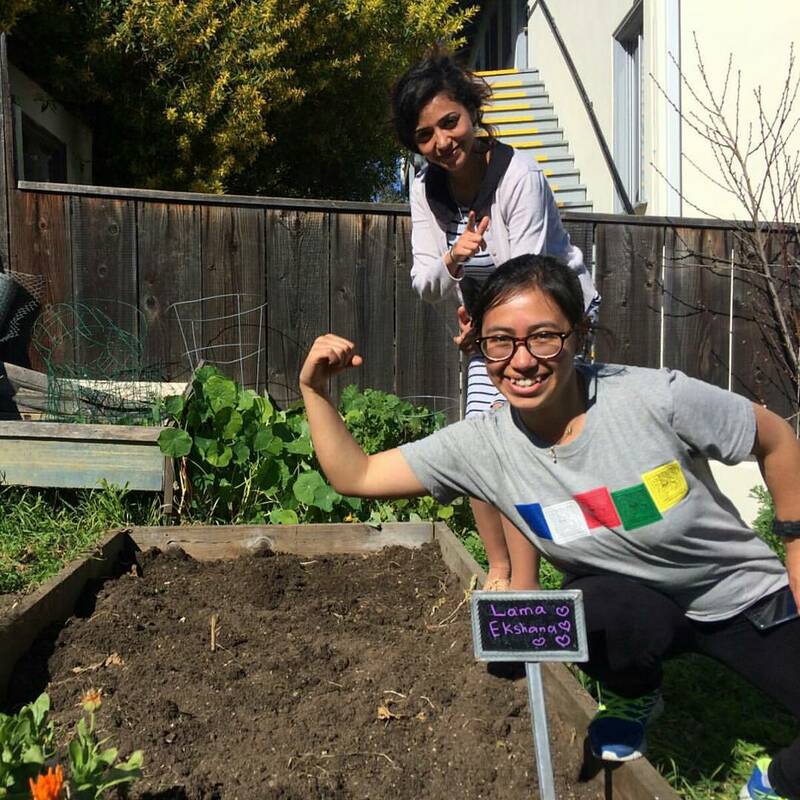 Ekshana Karki Chhetri is a fourth semester Masters of Public Administration student, currently completing her Design, Partnering, Management, and Innovation (DPMI) Plus practicum as a Youth Workforce and Entrepreneurship Intern at World Learning in Washington, D.C. Originally from Nepal, Ekshana received her Bachelor’s in Social Work and English from St. Xavier’s College in Kathmandu, Nepal. 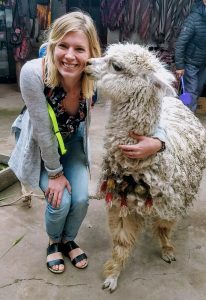 She went on to work with Empowering Women of Nepal in Pokhara, Nepal, a local grassroots organization that empowers, educates, and creates employment opportunities for underprivileged girls through tourism and sports. She was a participant in the Women Win Digital Storytelling and Mentorship program in the Netherlands, during which time she launched “Go Girls”, a community outreach project that teaches life skills to young girls. Ekshana’s sister, Archana Karki Chhetri, also attended the Middlebury Institute and graduated in 2009. How did you find World Learning? What was the application/interview process like? I found World Learning through Carolyn Meyer (Director of Immersive Professional Learning and Special Programs). Carolyn introduced me to Elizabeth Silva, Senior Program Officer of the Women’s Empowerment Program at The Asia Foundation, who happens to be alumni from MIIS. 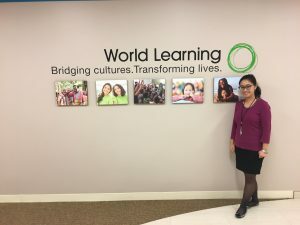 The Asia Foundation already had an intern for the spring semester, therefore, Elizabeth was very kind to forward my resume to her circle of friends and that is how I learned about World Learning (WL). I did some research about WL through their website. The organization attracted me immediately and I was very impressed by their work. It was definitely an ideal organization for me because some of the important work they were doing in the U.S and abroad was vested in empowering and educating youths through exchange programs and creating entrepreneurship skills. The application/interview process went very smoothly. Within a short period, I interviewed with World Learning and received the offer right away. Now, I am here in DC! What is the best advice you received for working in development? Go out and network with people in the field as much as you can. You will learn a lot from their experiences. Which courses at the Middlebury Institute (MIIS) have been the most beneficial in your current work? Why? As a Youth Workforce and Entrepreneurship Intern, I have been assisting my supervisor to develop a career center toolkit. This toolkit will provide important information about career development centers and services in academic institutions. My role includes literature reviews on career centers and services in community colleges as a way of learning from existing models and how to develop more. Since I am interested in learning more about project design and evaluation, DPMI has been one of the many crucial courses that have helped me to understand project design and evaluation. DPMI provided me with the basic understanding of project design and also provided the platform for practical experimentation within the classroom. Additionally, the courses I took as part of Sprintensive 2017 provided further understanding of storytelling within development work. Courses such as Finance Functions, Proposal Writing, Leadership and Social Innovation have been very helpful with the practical skills. Professor Lisa Leopold’s course on Professional Presentation skills is coming handy in my internship as I am expected to present research findings with my team. In Professor Arrocha’s globalization class I had written a policy memo about Youth Migration in Nepal and everything I am doing at World Learning has been helping me to narrow down my policy memo. It has been really helpful because it has allowed me to focus and not feel overwhelmed. What is something you had to learn “on the job? One of the many things I like about my internship with World Learning is that my supervisor creates the platform for me to attend and observe several project design-related meetings. Every day I am learning so much at World Learning. Additionally, I am learning new technological skills, such as utilizing Zotero to manage references for my research work. Tell me about your favorite memory from your time at Middlebury Institute? It’s difficult to share my favorite memory from my time at MIIS because I have so many. The best part was meeting students from all over the world and interacting with them in and out of class. I enjoyed learning from them and hearing about their world wide experiences. I really enjoyed group work because it pushed and challenged me in so many ways. Besides academic life, I worked as a Library Graduate Assistant, which was a great way to interact with students, staffs and faculty. I also had a plot in the school garden and enjoyed looking after it with my friends and planting vegetables. When I needed to distress and reconnect, I liked to cook and eat with friends. Honestly, I am not quite sure where or what I will be doing in five years; however, I have always been passionate about working for youth engagement and women’s menstrual health. I believe I will be utilizing the skills and experiences I have learned up to this point in order to bring change in this field. Internship and job searches are usually one of the most stressful processes for students. Always reach out to your adviser, faculty and alumni for connections and resources. Don’t be afraid, be open, be kind to yourself and trust your journey. Thank you, Ekshana! We wish you all the best as you continue on your journey. If you would like to learn more about DPMI Plus, please contact dpmiplus@miis.edu or to apply, fill out this form. For this month’s DPMI spotlight, we spoke with January 2018 DPMI Rwanda participant Tyler Henry. Tyler is a returned Peace Corps volunteer who served in both the Ukraine and in Cameroon. Currently, he is completing his final semester in the MPA program specializing in monitoring and evaluation. 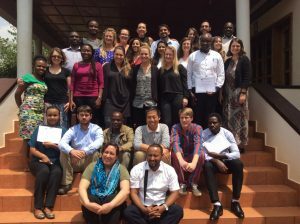 He spoke to us about why he chose DPMI Rwanda vs DPMI in the US, challenges he faced during his time in Rwanda, takeaways from the experience, and provided advice for anyone interested in participating in DPMI in the future. I’m a returned Peace Corps Volunteer who served in Ukraine from 2013-2014, and in Cameroon from 2014-2016. In Cameroon I worked as a youth development volunteer in a rural school working on active citizenship projects, and in Cameroon I worked at an HIV treatment center as a community health volunteer. At MIIS, I’m completing my last semester in the MPA program specializing in monitoring and evaluation. Why did you choose to do DPMI Rwanda vs DPMI in the US? The big selling point of DPMI-Rwanda is the client-based project with Partners In Health. At this point in my academic career, I’ve learned many tools for facilitating projects and programs. I wanted to explore utilizing these tools in a public health setting, and that was exactly what DPMI-Rwanda offered. What was one unexpected challenge you faced during DPMI Rwanda? Do you have any advice for anyone interested in DPMI? If you’re interested in working in any field that requires critical thinking in order to identify and solve complex social problems, the DPMI curriculum allows you to creatively explore mechanisms for social change. By designing a social marketing campaign for Partners in Health, DPMI-Rwanda gives you the opportunity to immediately employ the concepts being taught as well an opportunity to identify your own approaches to problem solving. Thank you for sharing your DPMI Rwanda experience with us. We wish you all the best! If you would like to learn more about DPMI happening this summer in Monterey and D.C., let us know. Email Grecia De La O Abarca at dpmi@miis.edu or check us out online. Learn more about the Startup Challenge new venture competition and how to apply at one of our introductory sessions held throughout the Monterey Bay region. What is it? Startup Challenge Monterey Bay helps innovators develop their ideas into new businesses. It supports the founding, funding and growth of new and innovative businesses in the Monterey Bay region. Startup Challenge Monterey Bay is a five month competitive acceleration process that teaches, coaches, mentors, networks and connects entrepreneurs to the knowledge and resources they need. Startup Challenge Monterey Bay empowers entrepreneurs to communicate their ideas effectively to investors, customers and employees. Venture division is open to businesses that are intended to scale and provide venture-investor level returns. • Main Street division is open to small businesses, sole proprietorships, and non-profits. Student division is open to students in high school, community colleges, colleges, and graduate schools. Cash prizes for winners in each division. 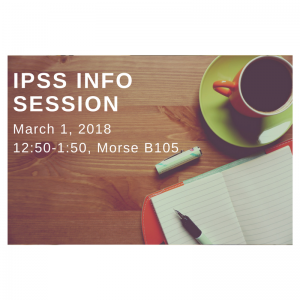 Have you heard about our International Professional Service Semester or IPSS, but are unsure what it all entails? Come to Morse B105 from 12:50-1:50 on Thursday, March 1 to get a closer look! The Andean Alliance for Sustainable Development (AASD) is looking for students to participate in an intensive summer research practicum. The AASD has carried out research for the past four years independently and in conjunction with major US and Peruvian institutions. As members of a research team, students will participate in a complete iteration of a research project, from initial client engagement through deliverable creation and delivery. Not only are our research methods appropriate for these communities, but always attempt to address and positively impact local challenges. The AASD has researched themes ranging from bringing organic produce to market, effects of climate change on small-scale farmers and how access and connectivity affect poverty. Snapshot of Oliver Grau recording his question for OECD Secretary General, Angel Gurría. Secrety General of the Organisation for Economic Co-operation and Development (OECD), Angel Gurría, replied! See his video response here! Click here to learn more about the How can we create a #sharedfuture campaign.